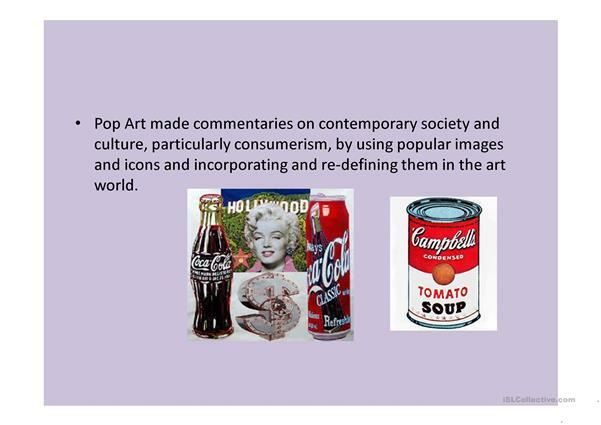 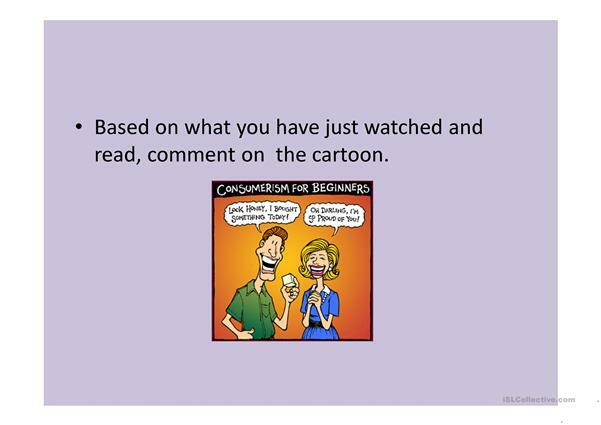 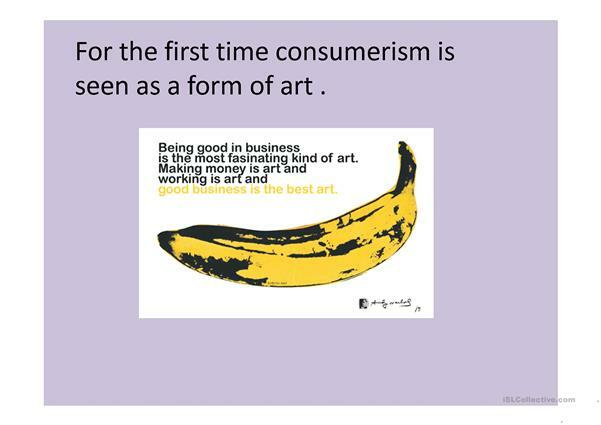 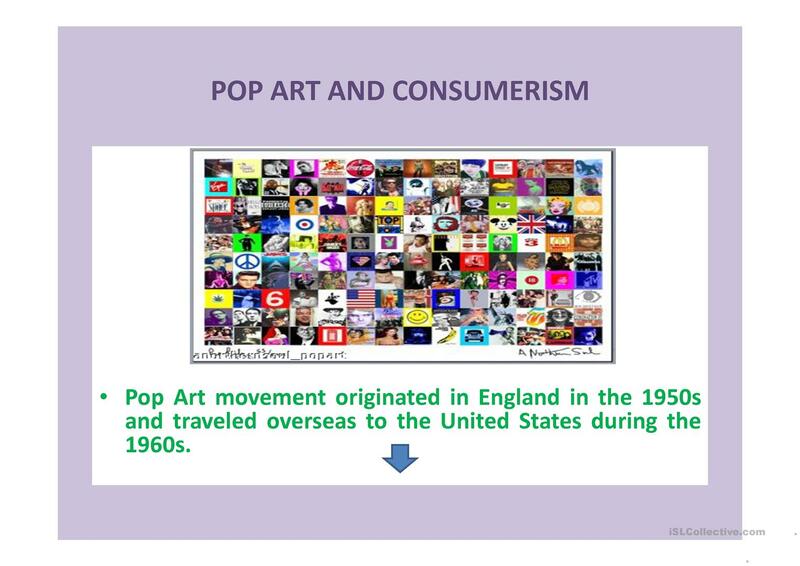 a power point with a concise history of the pop art movement and its relation to consumerism. 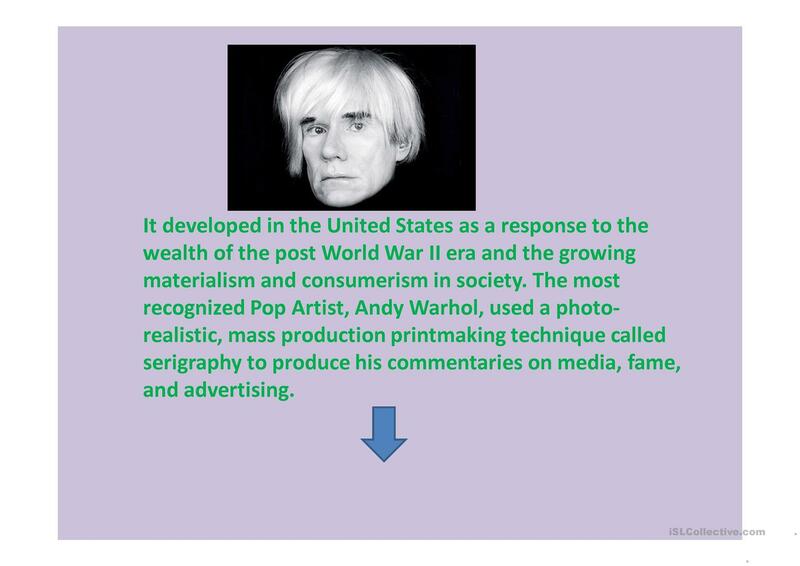 The present downloadable handout was created for high school students at Advanced (C1) level. It is excellent for working on your class' Reading and Writing skills. 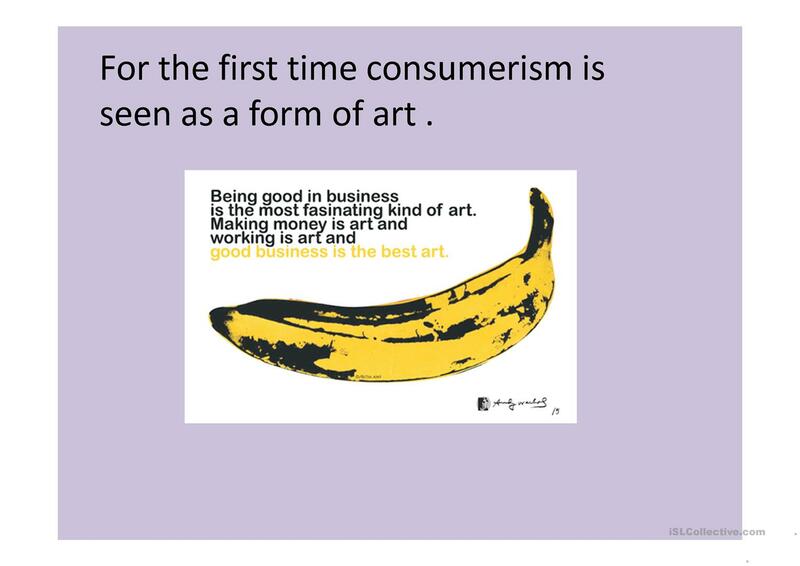 It is about the theme of Shopping. 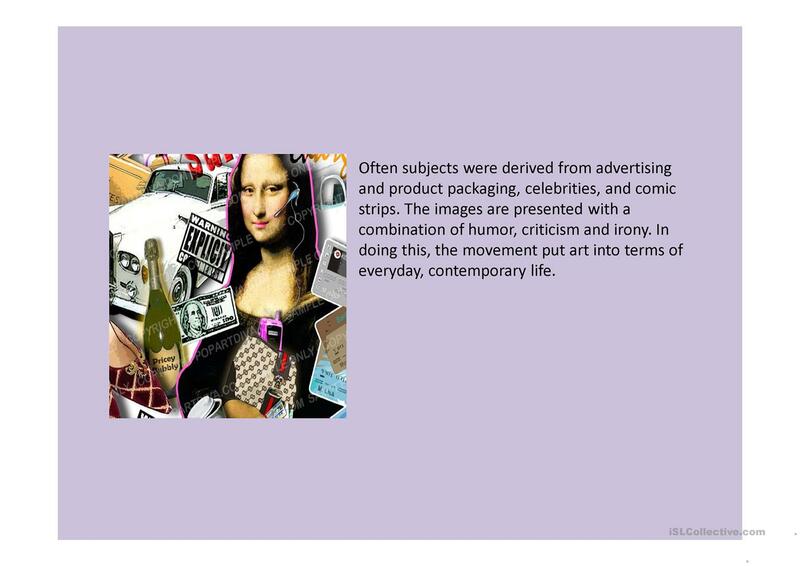 pabreu is from/lives in Portugal and has been a member of iSLCollective since 2011-10-05 16:28:35. pabreu last logged in on 2019-03-26 16:00:42, and has shared 18 resources on iSLCollective so far.